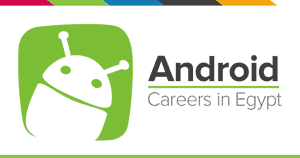 Title of Employees Supervised: Senior Android Developer; Junior Android Developer. Lead a team of software developers in the top to bottom mobile application development including user interface design, application design, unit and functional testing, implementation and deployment to customers of the company's portfolio of mobile applications. Provide technical and team leadership in all areas of mobile application development. Manage the day-to-day activities of the development team while adhering to the company’s overall development strategy as defined by the Development Manager. Coach and develop team members on the development of high-quality code and applications. Perform regular design and code reviews with development team members to confirm use of best practices and identify opportunities for one-to-one mentoring and development. Optimize performance of the agile-development lifecycle by ensuring consistent, successful sprints by working to reduce blocking issues for the team. Prioritize tasks assigned to the development team based on priorities communicated by senior management. Ensure the technical team develops detailed documentation for all source code. Participate in and manage the release process as instructed by the Development Manager. Maintain team’s current technical knowledge to leverage rapidly changing technology through formal and informal team training. Accurately estimate the duration of design, development, and testing tasks. Build an effective development team by recruiting and retaining talented high-performance developers, and conducting effective performance reviews of team members. Monitor task queues and issue-logs; allocate resources to ensure on-time completion of tasks and resolution of issues / bugs. Develop, foster, and enforce team accountability to meet commitments. Experience in Windows mobile application architecture, design, and development. Experience in iOS application architecture, design and development. Experience in Enterprise Resource Planning (ERP) and Document Management (DMS) systems. Minimum of 6 years of hands-on mobile development experience. Minimum of 3 years of leadership experience as a technical lead, senior developer or similar role.